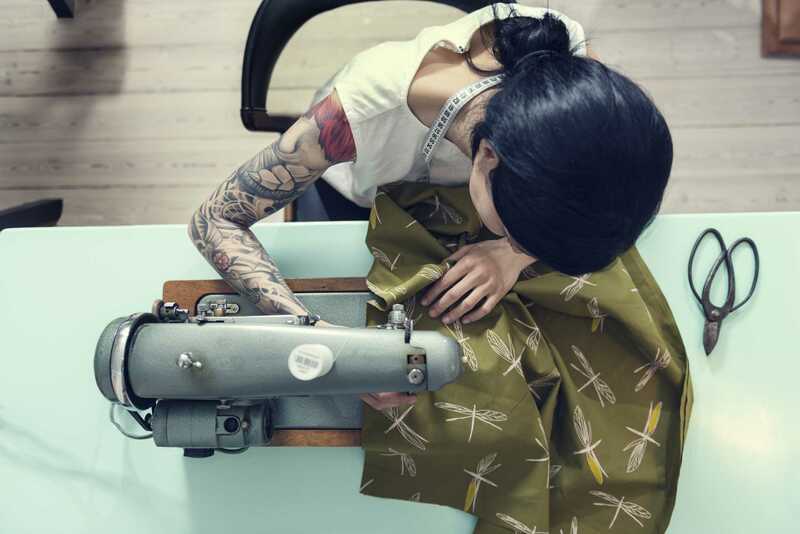 Sewing machines routinely have many of the same problems, which means they are easily anticipated and usually have established methods of repairing them. Other problems are unique to specific machines, and the fixes may be particular to the brand and model of machine, so it is best to have the manual for your sewing machine on hand as the first reference. To one degree or other, most sewing machines are susceptible to these six common problems. A massive nest of tangled thread is usually because the sewing machine is improperly threaded. Just because the tangled mess is on the bobbin side of the stitching, don't assume the fault lies with the bobbin. Most of the time tangled thread occurs because the sewing machine is not threaded properly. Put the presser foot up and unthread the sewing machine entirely. Use your sewing machine manual as a guide to make sure you are guiding the thread through all of the guides it in the proper fashion. One of the most common mistakes people make is to thread a sewing machine with the presser foot up. Threading the machine with the presser foot down causes the tension disks to be engaged or tight, meaning that the thread will not seat properly between the disks. The most common reason for a sewing machine skipping stitches is that you are using the wrong type of needle for the fabric you are sewing. The simplest rule of thumb is that a knit fabric requires a ballpoint needle and woven fabric requires a sharp needle—but of course there is more to it than that. 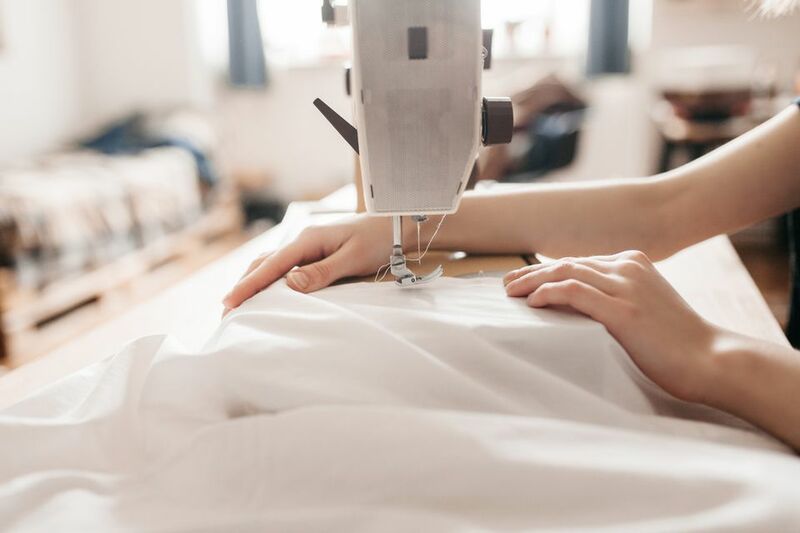 If the machine is sewing fine and you find yourself changing the needle very frequently, you should make sure you are allowing the machine to feed the fabric and that you are not forcing the fabric through the sewing process. Skipped stitches can also result if the needle is bent, which can occur if you are forcing the fabric rather than let the machine feed it automatically. A sewing machine needle is the smallest and usually one of the least expensive parts of a sewing machine to replace, you owe it to yourself to understand everything about sewing machine needles. A number of issues can cause fabric feed problems. Many sewing machines have a setting that lowers the feed dog, which is necessary for free-motion sewing. But in normal operation, the feed dogs are what move the fabric under the sewing machine needle. If the feed dogs are not coming up to move the fabric, check to see if there is a setting that has lowered the feed dog and return it to its proper setting. If there is no such setting on your machine, take the throat plate off and clean out all dust, thread, and lint. Oil the machine according to your sewing machine manual. If the feed dogs still do not work, read your sewing machine manual. When all else fails, it may be time to take the machine in for repairs. As dramatic as it may be, jamming is actually a very common problem for a sewing machine. Your first step is to remove any fabric you were trying to sew. This may require gently tugging at the fabric and lifting it up enough that that you can snip at the threads and pull the fabric free of the machine. Now, remove all the jammed thread, remove the bobbin, the throat plate, and any other parts necessary to remove all jammed threads and get the machine sewing again. Before you start sewing again, check your sewing machine needle. If it is even slightly bent, it can cause this type of thread jam. Is the thread getting hung up on the thread spool itself? This could be caused by a nick in the end of the spool or a notch in the spool designed to secure the end the thread. If you change the direction the thread is feeding off the spool, it can eliminate the problem. Are you using old or inferior quality thread? Have a look at what kind of thread you are using, and discard supplies that seem old or of poor quality. Are you using a relatively new sewing machine needle? If the needle has sewn over pins, it may have a nick in it that will play havoc with the thread, causing it to break and shred. There are specialty needles that have a larger path for special threads. If the thread continues to break after you have checked out these possibilities, take a time-out to thoroughly clean out all dust and lint from the bobbin area and the tension disks. Run your fingers over the path traveled by the thread, looking for any kind of burr, debris, or loose fabric that could cause snags. If you find your sewing machine having any of these problems on a regular basis, look for poor technique as you are operating the machine. Are you letting the feed dogs do the work? If you are inadvertently forcing the fabric through the machine as you are sewing, you might be be bending the needle and causing your own problems.